David Nussbaum CA is a respected authority on ethics in the profession. Speaking at an ICAS event in St Paul's Cathedral, he asked CAs to consider their individual impact on the public perception of 'the system'. Is ‘the system’ just a playground for those on the inside? Did we make it that way? 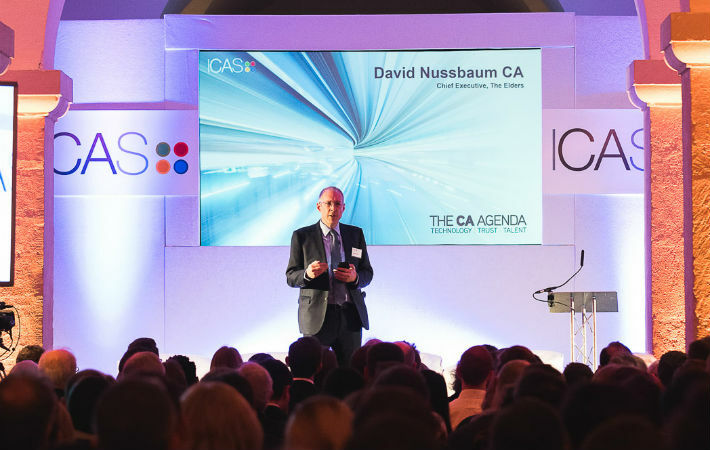 David Nussbaum CA questions the public perception of accountancy and where the responsibility for change lies. When posed the question by the 2019 Edelman Trust Barometer, 46% of the public said they believe the system is failing them. This, according to David, is just one indicator that we are facing a ‘trust crisis’. Chief Executive of The Elders, Deputy Chair of the Board of the International Integrated Reporting Council and Non-Executive Director at Drax Group plc, David has built a long career on the principles of ethical integrity and transparency. His extensive experience in industry and the third sector has produced a unique perspective on the role of a CA. We are, as it were, on the inside of the system. Therefore, a lack of trust in that system is a big issue for us. 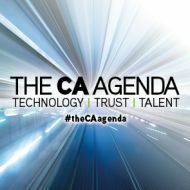 Speaking at the launch of the CA Agenda, the new thought leadership initiative from ICAS, David discussed the significant challenge posed by a lack of trust in accountants, finance professionals and the market as a whole. “If most participants in a market-based system feel that it isn’t working for them, then why should they abide by the market’s rules?” he asked. “Accountants are often involved in roles which are designed to help the system work. We are, as it were, on the inside of the system. Therefore, a lack of trust in that system is a big issue for us. This perception is hardly helped by the faces of accountancy presented to the public. Historically, a quid pro quo existed in which professionals are trusted to serve the public interest in return for a higher social and financial standing. This traditional view of accountants has, in David’s view, been breaking down as the public are again and again presented with stories of incompetence and wrongdoing. “The role of accountants is often to prepare or to confirm sets of accounts that are sound,” he stated. “Can the public trust that we have the competence to do that? The current debate around audit suggests that they aren’t sure. The concept of ‘trust’ itself in relation to accountants can perhaps be distilled into two factors: capability and behaviour. In order for this, or indeed any, profession to remain relevant, authoritative and relied upon, there must be an inherent belief in the knowledge and intent of the qualified professionals in question. “Stories of accountants who have resigned or taken other action to avoid acting unethically are few and far between,” David pointed out. “Even when we do hold our ground against malpractice, we may understandably be a bit hesitant about having it splashed across the media. It comes down to us making those difficult choices and putting public trust above personal ambition. Bringing this perception to the forefront is, according to David, a responsibility that lies with every member of the profession. “Of course, incompetent behaviour should be surfaced. But so should behaviour that benefits society and not ourselves as individuals or firms. However, beyond simply adhering to the level of conduct expected from CAs, David also calls for engagement with questions about the system itself and for professionals to give voice to the issues within it. The question of whether a system is ‘fair’ affects people’s sense of trust in it, and in us. “It’s not enough for us to simply work away quietly at rebuilding trust, though we certainly need to do that. I think we have to go a bit further,” he said. “That means engaging in the questions and debates about whether this system, which many of us operate within, is actually working to sustain what society wants. In engaging and contributing to these wider perspectives, CAs have the opportunity to shape the image of the profession and its position within society. Trust is a vital part of the CA Agenda. ICAS is asking CAs to position themselves as architects in revitalising and maintaining public trust. How will you be a champion for ethical judgement and inspire belief in the profession? We want to hear from CAs who have a perspective on the issue of Trust. Whether you work in business, practice, at a global conglomerate or local SME, if would like to be involved in influencing the agenda, or participate as a content contributor, please get in touch.